Midas Golden Touch (Thunderkick) – Let the Gods Guide You to the Big Wins! 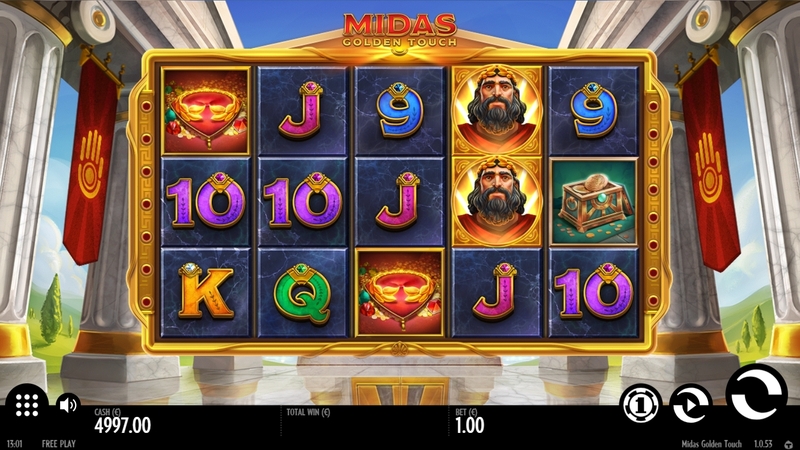 Midas Golden Touch is based on the mythological stories of Greece, and this particular slot focuses on King Midas. On the wheels, we find Midas himself, as well as other things that most people associate with Greek mythology. We have the crown made of golden feathers, a cup with red wine, and a chest full of golden coins. When it comes to the low paying symbols we have the usual A, K, Q, J and 10. The slot has a Wild symbol in the form of a glowing red ball, this symbol replaces all other symbols and helps build pay lines. The more wild symbols you manage to hit, the higher multiplier you’ll get on your win. This can pay you completely insane winnings if you’re lucky, just with a full pay line of wilds alone. Last but not least, we have the Scatter symbol, this is used to activate Free Spins. 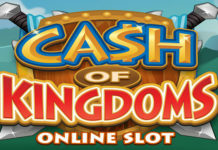 If you manage to hit three scatters in the base game, you’ll move on to the bonus where you’re awarded 10 Free Spins. 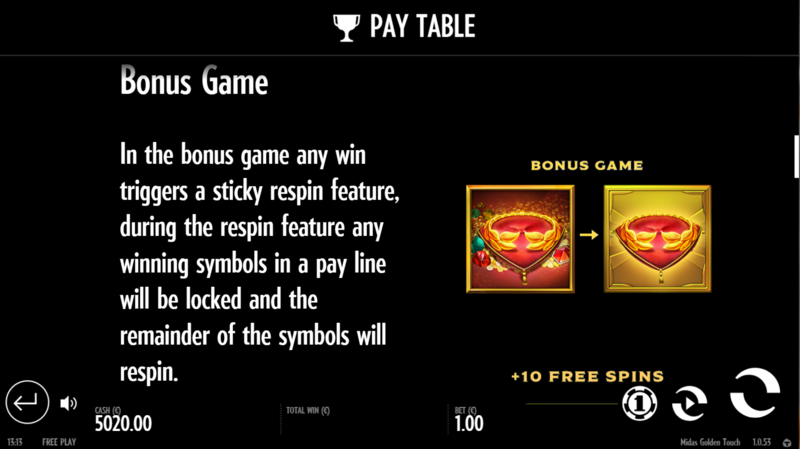 During your Free Spins, you’ll have Sticky Re-Spin on every spin, meaning that every win is locked in place and you get a Re-Spin. This keeps going until you no longer hit any new symbols or the screen is filled. You also start every spin with a Wild symbol somewhere on the Playfield. This bonus can be reactivated by hitting three more scatters in a bonus round. Thunderkick is a game provider that never fails to surprise us whenever they release new games. They don’t release games that often, but when they do, it’s always something unique and exciting. 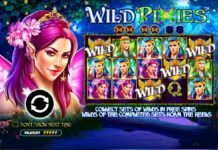 Midas Golden Touch is yet another really nice slot with awesome animations and cool features. In the background, a suitable soundtrack is played and the sound effects are amazing. 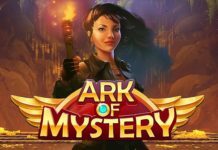 The slot has already been released and is available to play at, among others, Rizk Casino and Casumo.